The British company Architects of Air is based in Nottingham UK in a 4000 sq ft former textile workshop. There, since 1992, they spend 6 months out of the year creating luminariums and the other 6 months touring to several countries exhibiting them. 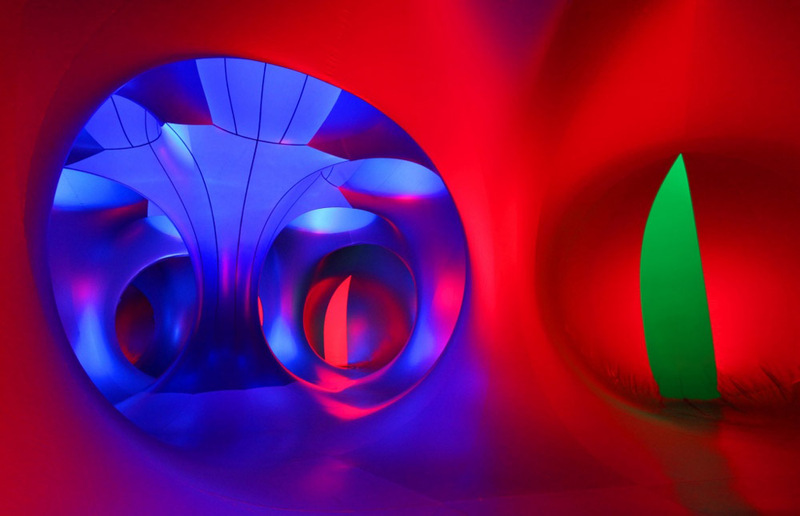 “What is a luminarium?” you may be asking yourself right about now. 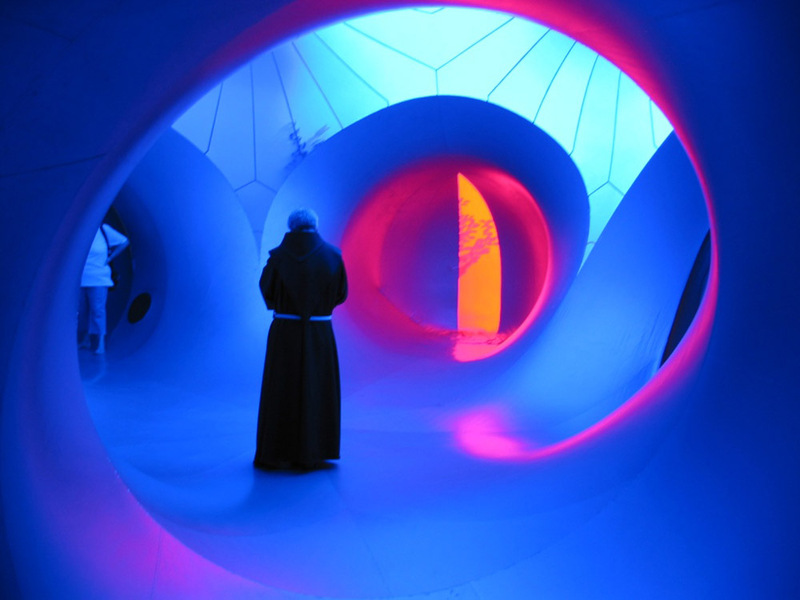 Luminaria are monumental inflatable structures that contain a maze of winding tunnels and soaring domes displaying the beauty of light and color. There are six different designs each made up of about 20 elements zipped together on site to occupy a 1000 sq. meter area. The most recent design is Miracoco which was launched this past summer, 2011, but there were 4 other models that toured this summer as well. They all look spectacular to me. Architects of Air have mounted these structures at 500 exhibits in 37 countries. Though I see on their timeline that they’ve had installations in New York in the 1990s, being that I missed those I vote for a summer 2012 NYC installation. Or maybe as part of next year’s Bring to Light Festival. You can see many more photos on their site and on flickr. This entry was posted in Architecture, Art, Event, Fun, Interaction Design, Just Plain Cool. Bookmark the permalink.